Distributed and multi-threaded deep learning library. Deeplearning4J is an Apache 2.0-licensed, open-source, distributed neural net library written in Java and Scala. The most recent stable release in Maven Central is 0.4-rc3.8, and the current master is 0.4-rc3.9-SNAPSHOT. For more on working with snapshots, see this page. Data analytics cluster computing framework. Storage and large-scale processing of data-sets on clusters of commodity hardware. 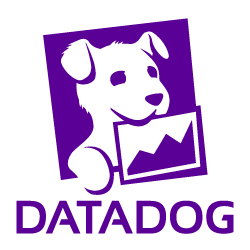 Fast and reliable large-scale data processing engine. The Statistical Machine Intelligence and Learning Engine provides a set of machine learning algorithms and a visualization library. Scalable algorithms focused on collaborative filtering, clustering and classification. Creates structured information from unstructured data and integrates it into an existing database. A framework for building real-time large scale machine learning applications, which also includes end-to-end applications for collaborative filtering, classification, regression, and clustering. Provides several algorithms and pre-trained models for natural language processing. Analytics engine for statistics over big data. Algorithms for pre-processing, classification, regression, and clustering with support for multi-threaded execution. Collection of algorithms for data mining tasks ranging from pre-processing to visualization. Do you think we are missing an alternative of Deeplearning4j or a related project? There are no recommendations yet. Be the first to promote Deeplearning4j! Have you used Deeplearning4j? Share your experience. Write a short recommendation and Deeplearning4j, you and your project will be promoted on Awesome Java. Do you know of a usefull tutorial, book or news relevant to Deeplearning4j?